Stock brokers sing the depression-era song "Wait Til The Sun Shines Nelly" on the floor of the New York Stock Exchange. 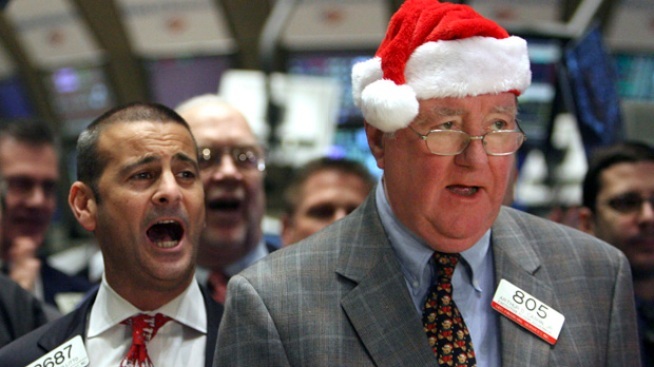 It is a long-standing tradition for traders sing this song on Christmas Eve and on the last trading day yearly. New claims for unemployment benefits jumped, Oil prices fell, stocks are up slightly and consumer spending dropped as the recession deepens this Christmas. The Labor Department reported that initial requests for jobless benefits rose to 26-year high - with a seasonally adjusted 586,000 in the week ending Dec. 20, from an upwardly revised figure of 556,000 the previous week. That's much more than the 560,000 economists had expected. It's the highest number of jobless claims since Nov. 27, 1982, when the total of new jobless filings hit 612,000. 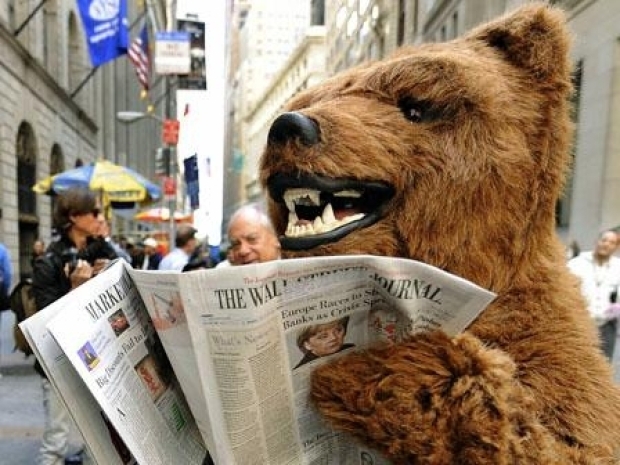 On Wall Street, the Dow Jones industrial struggled for a gain of 48.99 points, to 8,468.48. The Dow had previously fallen for five straight sessions. From Wall Street to Main Street, everyone felt the downturn in the economy in 2008. Not since the Great Depression has the American Dream faced this big of a challenge. And consumers cut spending for the fifth straight month in November, a report by the Commerce Department showed. The 0.6 percent drop in consumer spending last month followed an even larger 1 percent fall in October. the steep plunge in gasoline prices, which is good news for consumers, made the declines look worse. Excluding price changes, consumer spending would have dropped by 0.5 percent in October and actually risen by 0.6 percent in November. The November increase excluding inflation was the best showing in more than three years. Still, economists think the overall trend for consumer spending is down, given the problems facing the economy. They include a severe recession, a financial crisis that has cut off access to credit for millions of borrowers and a massive wave of job layoffs.